The efficient organization of the work area plays an ever increasing role in optimizing manufacturing processes. Ulimately, the full performance potential of your moulders can only be achieved when the tools are sharpened, measured and available when needed. The Rondamat 1000 CNC grinds and sharpens tools fully automatically according to a CAD drawing created by Moulder Master providing the basis for producing accurate profiles on the moulder. 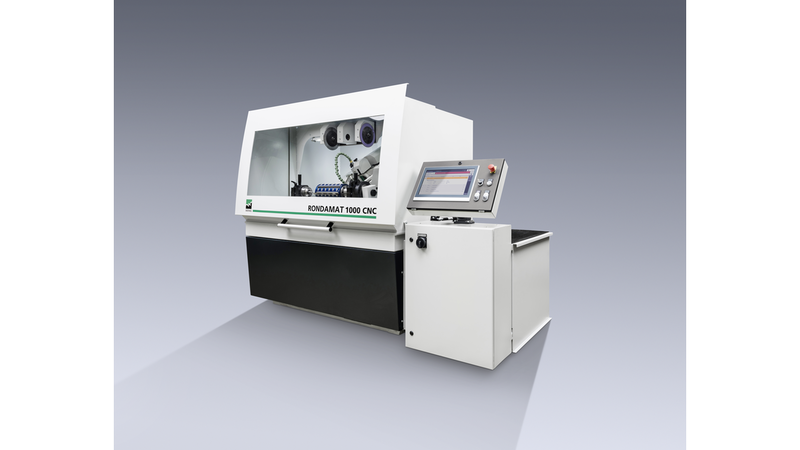 In respect to efficiency and added value the Rondamat 1000 CNC will raise your tool room to a new level.